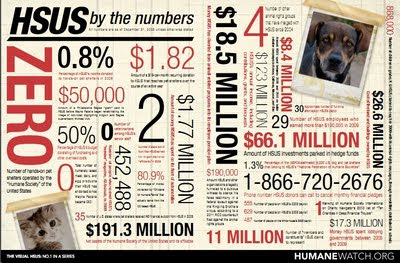 Back in March I did a post on the Humane Society of The United States (HSUS) with a fancy little video and my thoughts on HSUS being that they lead one of the biggest scams nationwide. 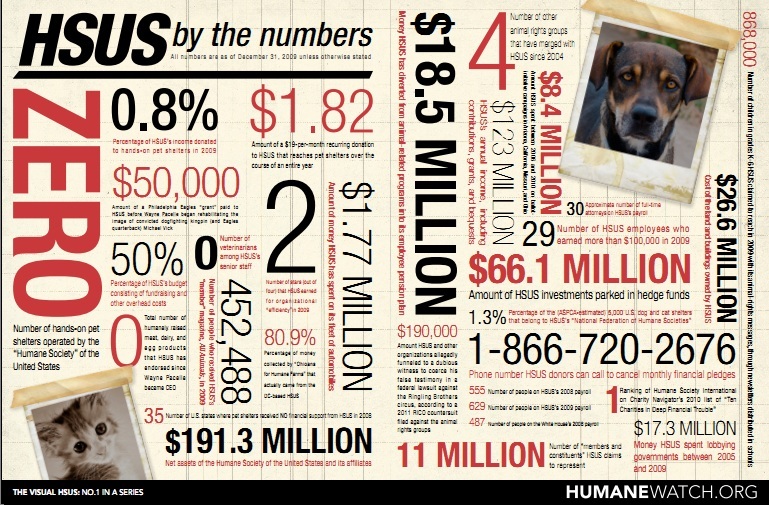 This morning in my email I received this brochure that shows an enormous amount of really great statistics that just continue to reiterate my point on why it’s important to donate your money locally to animal shelters instead of to HSUS as a whole. To be able to see the fine print … click here to see this brochure on a much larger scale. And please, on behalf of all animal shelters nationwide, print out and give to your friends. 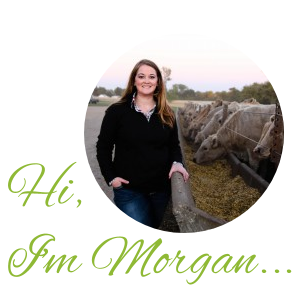 Or direct them to this blog so they can check it out for themselves! HumaneWatch.org is a great website, with lots of resources, I must have missed this one though. It really puts things into perspective. Thanks for posting.